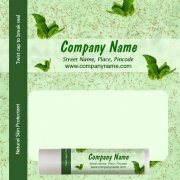 Personalized Lip Balms for Your Branding & Favors! 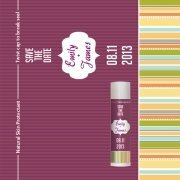 Quality personalized lip balm serves as a powerful brand reminder and a handy lip aid at all times. 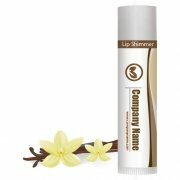 People will definitely remember your product, services or social commitments whenever they pick up gifted custom lip balm to soothe their chapped lips. 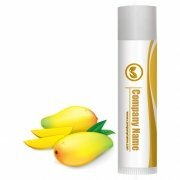 Promotional lip balm (sold at lipbalmusa.com) are FDA approved and made in USA. We offer large selection of custom lip balms & bullet lip balms in varied flavors, colors with SPF 15 balms to suit the personal and promotional preference of advertisers. We also offer a big selection of all organic and natural lip balm for all those who love to go "green" with their cosmetic choices. 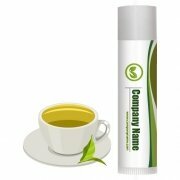 Custom printed lip balms especially make a good branding token in scorching summers and teeth cracking winters. 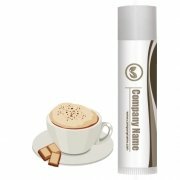 We can custom imprint any logo or business message on the lip balms and it will be delivered normally within 2-7 working days after ordering. Free shipping, and art set up is offered on all products. 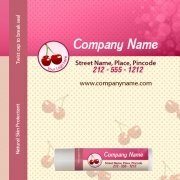 Huge discounts are offered on bulk lip balm orders, and advertisers can seek it in favors & industry design. Do you feel it's high time to boost your brand value? Then you are at the right place because at lipbalmusa.com we offer 100% satisfaction guarantee! If you don't find the lip balms of your choice in this selection, then feel free to contact us.